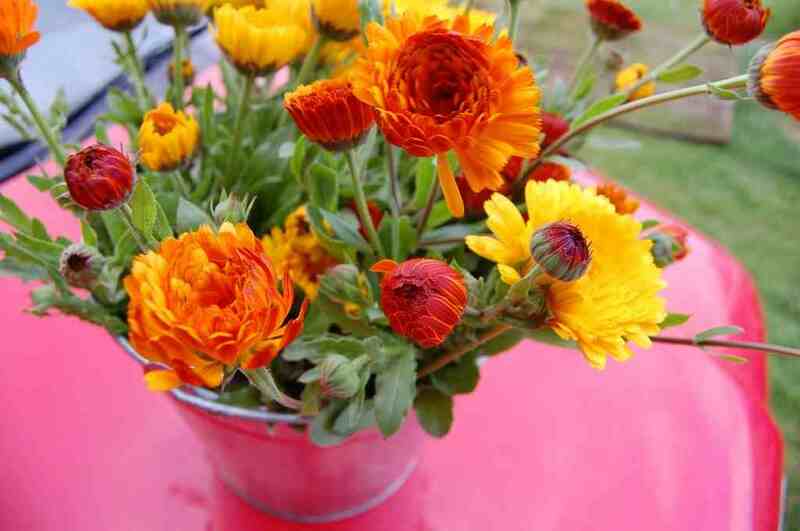 Calendula Officinalis is one of my favourite cut flowers of all time…it is simplicity itself…sunshine on a stem, one of the brightest and most cheerful plants you could wish for in your cut flower garden. Not only is Calendula Officinalis beautiful, it is also one of the most productive flowers with regard the amount of blooms it will provide for you. A true ‘cut and come again’ flower. Cut the stem just above a leaf node and two further stems will rocket forth and will be offering you two new flowers within a couple of weeks. I’m not alone in this calendula love. There is a Greek herbalist whose name escapes me (It always does) let’s call him…Carl. Carl says that just gazing upon calendula can rid the mind and body of malady. Joking aside I think the old boy is right. 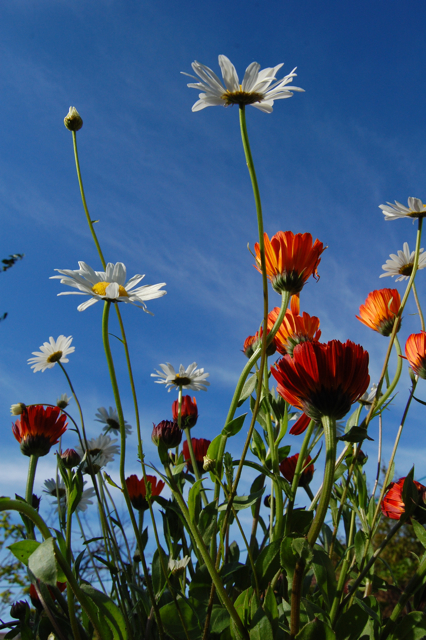 Herbalists throughout the ages have revered Calendula. 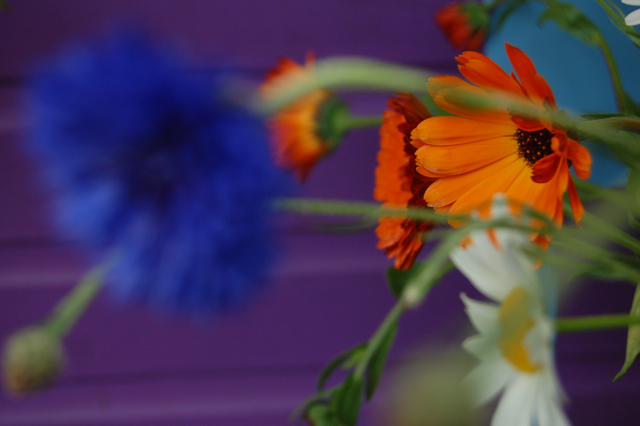 The Egyptians used it as an antiseptic and calendula is found with cornflowers in Tutankhamun’s tomb…the very same combo was my biggest seller of the year. Me and Tut have got it down my friends. The Romans knew of it’s antiseptic qualities as did the ancient Indian people. Hindus adorn their alters with it. And (excuse me starting a sentence with ‘and’ but it’s my blog…my life…so ‘up yours’ Mrs William’s class of 83) in the first world war…huge tents were set up to treat the injured using only calendula as antiseptic. *As per usual make super sure that your proposed bed is properly dug over and all trace of weeds removed. 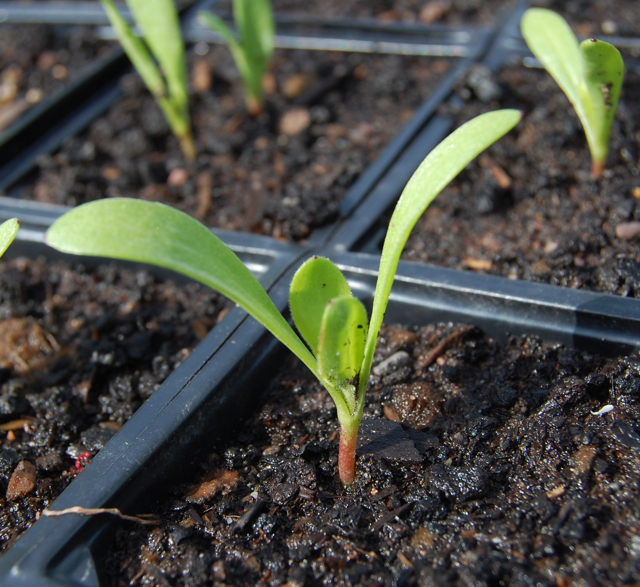 *I sow the first batch of my Calendula Officinalis in September for an early flowering the following year…then some undercover at the beginning of April…some more directly in the soil in mid May (after the frosts) and a further row or two at the beginning of June for a late harvest. Autumn Sowing Of Californian Poppy ‘Ivory Castle’. Nasturtium ‘Scarlet Munchkin’. Ooh I have these too. Waiting for the 15th to get them in the ground, you an probably tell I’m over excited about it being May at last! Thanks for all the info and stuff. Always look forward to a new article. I’ve sown the Art Shades you sent me and they’re looking as lively as a Picasso at the moment! Also sowing some green manure in my dormant beds as suggested in Oli’s bit. I’ve found some that can be sown September-November. Looking forward to a green plot this winter!